The Weather Guy: Tornadoes Roar Across U.S. 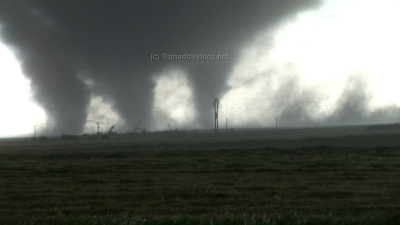 According to TornadoPaths.org, there have been 221 tornadoes reported since Thursday, April 14. That is an incredible number. 83 of those have been reported today (Saturday) with most occurring in North Carolina and some in South Carolina. At least 6 people are reported dead. The death toll could go higher in North Carolina.